NYX Cosmetics are sold in most drugstores and they’re incredibly affordable where you can buy a NYX lipstick for as low as $4! NYX Cosmetics was acquired by a non-cruelty-free giant cosmetic brand, L’Oreal in 2014, but thankfully NYX Cosmetics has maintained their commitment to a strict no animal testing policy and is a cruelty-free brand. They’re just now owned by a parent company that continues to test on animals. 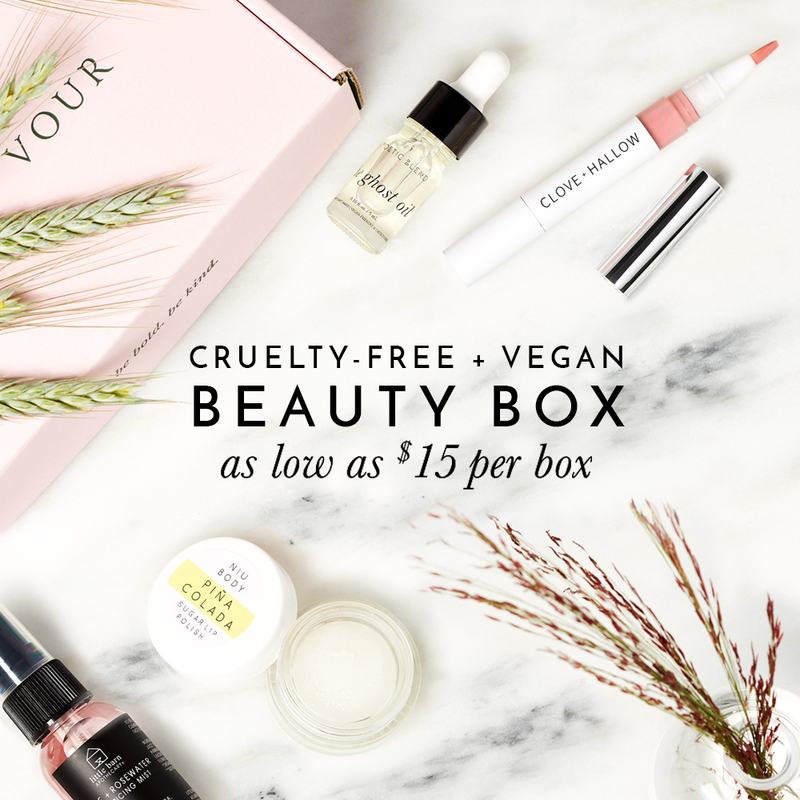 If you choose to look pass NYX’s affiliation with L’Oreal and want to know which of NYX’s makeup products are considered vegan, then you’ll be happy to know that recently NYX has started labeling some of their makeup as being vegan. This post originally (dated Sept 4, 2015) included a statement from NYX claiming that none of their products were considered vegan but this post is updated to reflect NYX’s recent changes. NYX’s vegan product list can be viewed on their website here. Which of Essence Makeup is Vegan? If nyx cosmetics is owned by a non cruelty fee company (L’Oreal) then even though nyx make up is ‘vegan’ wouldn’t some of the money fund cruel animal experiments? Thank you for putting the list together. I needed to know if the Epic Ink Eyeliner was vegan & Cruelty-free and it is!!! Yeaaah!!! Hi- I buy basically ONLY NYX products. I love the quality but the cruelty-free part was essential to me. I happened to notice that in stores (as of the past two weeks), the newest stocked products no longer have the little “bunny” symbol or the words “cruelty free” anywhere on the packaging. Do you happen to know why? The stay matte not flat foundation contains beeswax sadly. Do YouTube know ahout the Suede martes Lipstick? It seems ok jut the glycerin i Sony know if its from vegetal por animal origin. Aldo i sentía antes email asking ahout the Slip Tease full color laquer but i havent Hot antes answer. Thanksgiving YouTube! I’m wondering how pure and safe NYX products are and how compliant to their cruelty free stance considering some of their products are being manufactured in The People’s Republic of China. I think it is absurd that China requires products entering into China from foreign countries with high standards of purity and quality control to be tested on animals. The horror stories coming out of China with respect to the lack of quality control, the addition of impure and hazardous materials to everything from baby formula to animal treats (and being exported to the countries they demand testing from! ), and the counterfeiting of myriad products goes unchecked. Hypocrisy of the highest level. Personally, I think companies should care more about their domestic clientele and refuse to sell to a country that is forcing them to abandon their core beliefs. The companies that are capitulating to the inhumane demands of this country are potentially losing more customers than they are gaining, if for no other reason than putting a higher value on profits rather than ethics. Cosmetics MADE in China are not required by law to be tested on animals. It’s only if they’re SOLD in China. And NYX cosmetics are NOT sold in China so they are not required by law to be tested on animals. Hi there, thank you for this list. I saw that they have NYX at Shoppers. Just wanted to clarify something though. They have a Butter Lip gloss with a wand applicator and your list says Butter Lipstick. Is that the same product? There’s colours like Angel Food Cake if that’s any help. Good question. The NYX lip gloss contains beeswax and therefore it’s not vegan. Whereas the NYX Butter Lipstick that is vegan comes in a bullet lipstick form. Hope that helps to clear things up for you!